Is Sublingual Immunotherapy (SLIT) Right for You? 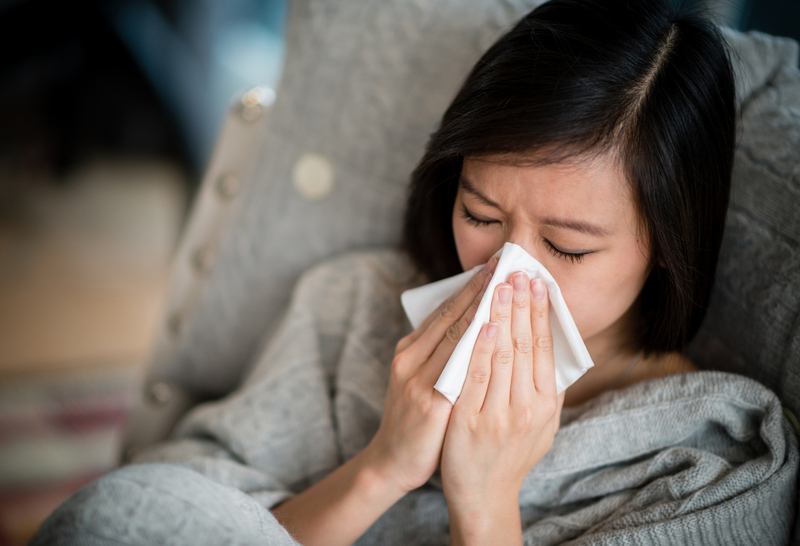 If you have allergies but you dislike having your allergy medicine injected intravenously, there is another solution – sublingual immunotherapy (SLIT). If you’re surprised this solution even exists, you aren’t alone. There is a general lack of information available regarding this topic. With this in mind, we’ve decided discuss sublingual immunotherapy so you can decide whether it can benefit you. With many preventative medicines, they expose your body to a small amount of the disease or illness in order to build your immunity. For example, your seasonal flu vaccine works the same way – you’re given a small amount of the virus and this allows the body to recognize the virus and then build an immunity. For some, they’ll experience a light cold for a couple of days after but the idea is that it prevents a heavier illness later in the season. With sublingual immunotherapy, an allergist (or you, but we’ll discuss this later) will give you tiny amounts of the allergen underneath the tongue. In the same way we’ve seen, this allows the body to build a tolerance to the illness and prevent symptoms from occurring. At this time, many different allergens are actually being tested within the United States. However, not all of these solutions are ready for administration or even available just yet. New tests are constantly being performed by the FDA, hopefully leading to more allergy solutions in the future. Will You Benefit From Sublingual Immunotherapy? Currently, if your body has an overreaction to allergens within the immune system, you could benefit. Available for both adults and children, sublingual immunotherapy is designed for those who suffer from this overreaction (allergic rhinitis) more than once a year. Furthermore, you may also benefit if your existing treatments aren’t sufficiently addressing your allergy concerns. Sometimes, the traditional treatments can become ineffective and this is where SLIT gets to work. Talk to your allergy doctor to see if sublingual immunotherapy is right for you. Whenever the topic of SLIT arises, the questions of safety and effectiveness aren’t far behind. First and foremost, there has been several clinical trials and surveys over the past two decades alone that show SLIT is safe for all patients. Furthermore, it’s also effective for those that suffer with allergies for cat dander, tree pollens, dust mites, ragweed, and even grass. As time goes on, we’re also getting more evidence to suggest its use in the treatment of the itchy red eyes that often comes with pollen during the worst time of year for sufferers; hay fever season. Also, we should note an ongoing study investigating the relationship between SLIT and children with eczema as well as treating certain food allergies. With these studies and the general excitement surrounding the topic, it’s fair to say there is potential in SLIT and the coming years could be very important. Are There Any Risks Associated With Sublingual Immunotherapy? Compared to other treatment methods, the risks aren’t exactly severe but many worry about the fact it’s normally administered at home without any supervision from a professional. If you’re considering this treatment, we highly recommend discussing the option with an allergist because they can provide you with advice while informing you of how to manage adverse reactions. Additionally, you’ll learn what is and isn’t normal in the time after the treatment. To finish, we have some extra information you should know about sublingual immunotherapy including the fact it’s used within the gold standard of care throughout much of Europe. However, it remains as an ‘off-label’ solution in the US by the FDA despite the support it’s received from many professional bodies including the American Academy of Otolaryngic Allergy (AAOA). This being said, more products are now being approved and the growing number of studies/evidence falling in the ’positive’ column could certainly change this. For now, you’ll have to pay out of pocket since it isn’t covered on most insurance policies. After the treatment has been administered, you should start to see results after six months so it isn’t an instant solution. On a positive note, the effects can last up to five years with symptom improvement continuing even after this. Ultimately, a conversation with your doctor and allergist is always advised as they can tell you whether or not you would benefit from sublingual immunotherapy. If they advise against it, they may just suggest a more effective medicine you haven’t yet tried for your allergies!